The characters that would make Awdry famous and the first stories featuring them were invented in 1943 to amuse his son Christopher during a bout of measles. After Awdry wrote The Three Railway Engines, he built Christopher a model of Edward, and some wagons and coaches, out of a broomstick and scraps of wood. Christopher also wanted a model of Gordon; however, as that was too difficult Awdry made a model of a little 0-6-0 tank engine. 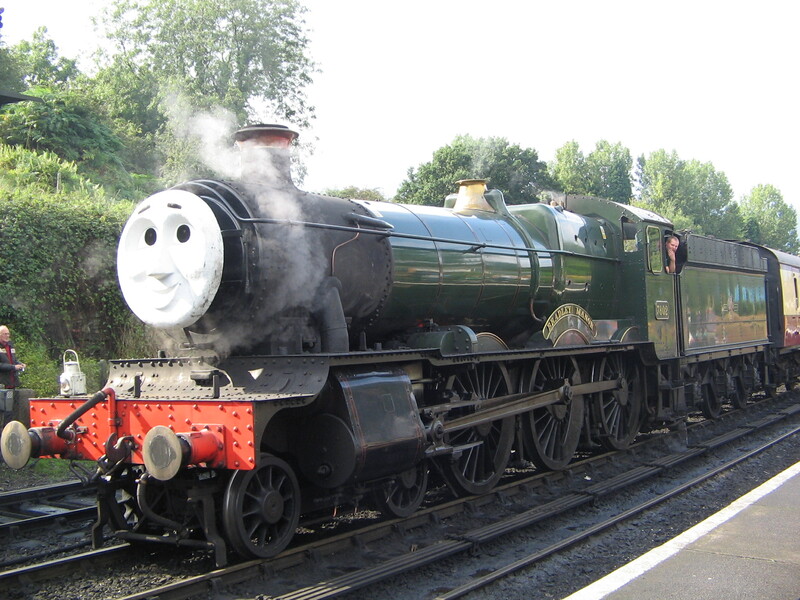 Awdry said: “The natural name was Thomas – Thomas the Tank Engine”. Then Christopher requested stories about Thomas and these duly followed and were published in the famous book Thomas the Tank Engine, released in 1946. The first book (The Three Railway Engines) was published in 1945, and by the time Awdry stopped writing in 1972, The Railway Series numbered 26 books. Christopher subsequently added further books to the series.In 1952, Awdry volunteered as a guard on the Talyllyn Railway in Wales, then in its second year of preservation. The railway inspired Awdry to create the Skarloey Railway, based on the Talyllyn, with some of his exploits being written into the stories.Awdry’s enthusiasm for railways did not stop at his publications. He was involved in railway preservation, and built model railways, which he took to exhibitions around the country. Awdry wrote other books besides those of The Railway Series, both fiction and non-fiction. The story Belinda the Beetle was about a red car (it became a Volkswagen Beetle only in the illustrations to the paperback editions).Awdry was awarded an OBE in the 1996 New Year’s Honours List, but by that time his health had deteriorated and he was unable to travel to London. He died peacefully in Stroud, Gloucestershire, on 21 March 1997, at the age of 85. His ashes are interred at Gloucester Crematorium. The annual Trooping The Colour took place on Saturday 15th June 2013 to Mark the official birthday of Her Majesty Queen Elizabeth II. Starting at 11am a carriage procession made it’s way from Buckingham Palace, down The Mall, through Admiralty Arch and onto Horseguards Parade. HM the Queen was accompanied by the Duke of Kent instead of HRH Prince Philip Duke of Edinburgh, who is still in hospital, followed by the Duchess of Cornwall, The Duchess of Cambridge Prince William and Prince Harry. Prince Andrew, Prince Edward, The Countess of Wessex, Princess Beatrice and Princess Eugenie.